NASHVILLE, TN — Democratic Leader Nancy Pelosi will deliver the 2017 keynote address during the 142nd commencement exercise for Fisk University. 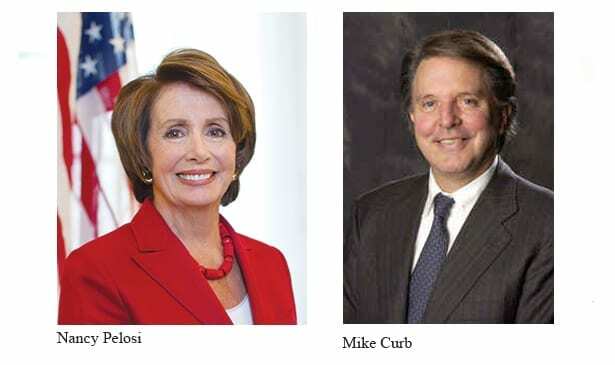 Pelosi, along with Trustee Emeritus Mike Curb, will also be awarded honorary doctorate degrees. Graduation ceremonies will be held at The Temple Church on Monday, May 1, 2017, beginning at 10:00am. Having previously served as the 52nd Speaker of the U.S. House of Representatives – the first and only woman to hold the position – Pelosi’s national profile continues to rise. Today, she serves as the Democratic Leader of the U.S. House of Representatives and represents the 12th Congressional District of California. A 2013 inductee of the National Women’s Hall of Fame, Pelosi is regarded among her peers as a national and global leader. Pelosi’s career in public service began in 1987. For more than 30 years, she has remained one of the most high-profile and respected members of the Democratic Party. Consistently lending her energy and leadership to advance progressive causes, she has fought for fair pay for women. A relentless champion for working families, Pelosi is leading Democratic efforts to create good-paying jobs and better infrastructure for all American communities, not just the privileged few. As Speaker, Pelosi was also instrumental in passing into law the Affordable Care Act, Wall Street reform, and the Post 9/11 GI Bill. 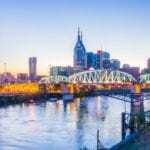 The founder of Nashville-based Curb Records, Mike Curb is one of the most recognized names in music over the past five decades. With over 300 songwriting credits, the award-winning songwriter, producer, and music executive has overseen the sales of records in excess of 100 million. Curb joined the Fisk University Board of Trustees in 2002 and throughout his term, planned and implemented the Curb-Beaman Jubilee Singers Chair and the Mike Curb Endowed Jubilee Singers Chair. Regarded as a friend of Fisk, Curb has demonstrated remarkable leadership and expertise in his successful business ventures and partnerships, political accomplishments, and philanthropy. Today, Curb continues to serve on the Boards for organizations that have been the benefactors of the Curb Family Foundation. For more information on the 142nd commencement exercises, please contact Fantina Carter at fcarter@fisk.edu. Founded in 1866, Fisk University is a private, liberal arts university located in Nashville, Tennessee. Consistently recognized for its brand of academic excellence, Fisk ranks in the 2017 U.S. News & World Report’s prestigious Tier One of Liberal Arts institutions and the Top 10 rankings of Historically Black Colleges and Universities. Fisk was also ranked #1 for most awarded research expenditures in the 2016 rankings of National Liberal Arts Institutions by The Washington Monthly.